The M-Side Table is part of the M-Table collection and another piece of timeless interior furniture created by Daniel Boddam. The M-Side Table was developed from the same genesis as the M-Dining Table, both have been inspired by the pyramidal form of ‘El Castillo,’ in Mexico. They fuse its striking architectural elements into their design. These delicately-strong tables come in three different pole heights, so they can work beautifully as a cluster or be perfectly tailored to your favourite sofa or chair. All Daniel Boddam table tops are crafted from fine Italian marbles imported by premium local suppliers. Complemented by a selection of timbers that have been wire brushed to a satin finish. The lead time on the M Side Table by Daniel Boddam is 8 weeks. Shipping and delivery of this locally handcrafted table is calculated at the check-out of The Local Project’s Marketplace. International shipping of the M Side Table by Daniel Boddam is available upon request. Please contact The Local Project team at marketplace@thelocalproject.com.au for a quote. All Daniel Boddam modern furniture items can be customised accordingly, materials, dimensions and finish. 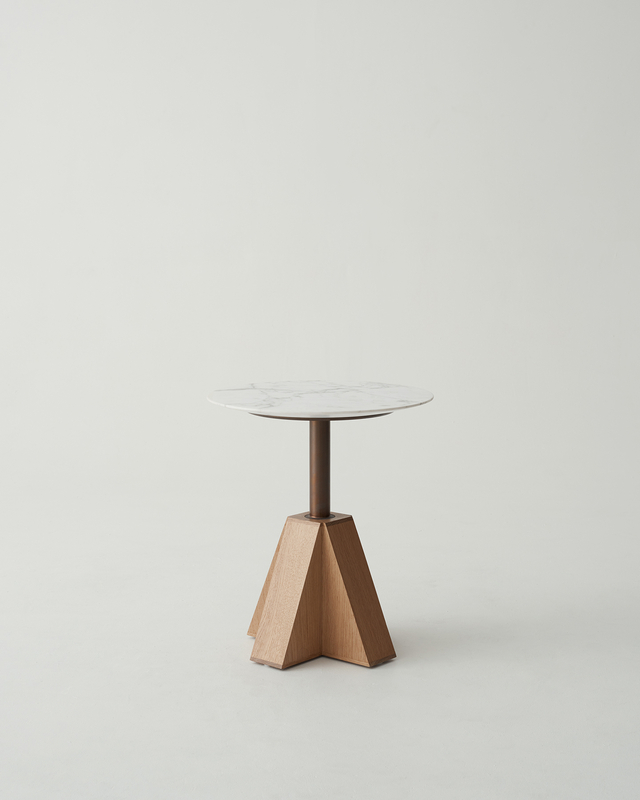 The M Side Table by Daniel Boddam comes with a 1 year manufacturers warranty.